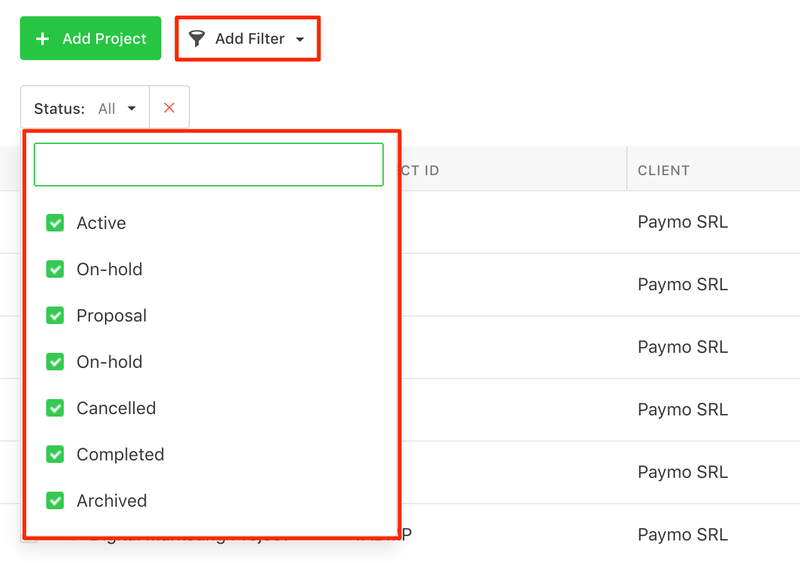 How do I filter projects by status? 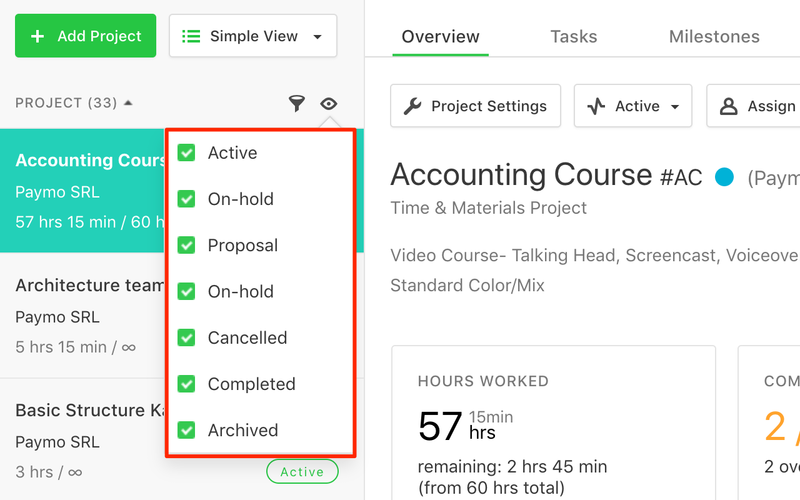 If you wish to declutter your project list you can easily decide to display only active, archived, on hold etc projects. In order to do that, you just need to click on the Show icon and select the type of project you wish to see.